This was originally posted here by the National Center for Family Philanthropy. In October, you may have read the great blog post by Perla Ni that encouraged family foundations to do five actions in support of a fair and accurate census in 2020. I want to highlight the amazing work being done about census efforts by philanthropy-serving organizations (PSO) that are part of the United Philanthropy Forum network (The Forum). The Forum has partnered with the Funders Census Initiative of the Funders Committee for Civic Participation (FCCP) to bring this conversation to foundations and partners nationwide, develop great data, and provide opportunities for foundations to connect with what is happening in their local regions. There is great information available that will allow foundations of any size to invest their work locally or nationally as we get closer to the 2020 census. The Funders Census Initiative 2020 website is helpful if you are interested in learning what your community needs and what help is available to determine what your family foundation can and should do near census time. I particularly draw your attention to the toolkit and resources sections. More than anything, I encourage you to ask your regional philanthropy serving organization to see if they are engaging in this work. This list of Forum Members can help you identify your local organization or contact FCCP and they will get you the information you need to engage. There are also key national partners that include Grantmakers Concerned with Immigrants and Refugees, Hispanics in Philanthropy, Grantmakers in Aging and many others that focus energy around hard-to-count communities that may be central to your grantmaking. We know that this issue may seem overwhelming or distant, but it is important for not only philanthropy and your family foundation, but for our democracy. I would encourage your family foundation to align your investment with your grantees and the specific communities you care about. Review the census information on The Forum website and talk to your foundation and your grantees about the importance of a fair and accurate census. It is important to understand how the census relates to allotted resources. One set of data outlines the items of the federal budget that, based on census count data, is used to distribute $800 billion to local communities for items like childcare, healthcare, housing, food, education and many other things you care about. Use this resource to pick the line item that is aligned with your foundation’s interest or grantmaking and do the math. If the census count is incorrect or certain population like young children are severely undercounted as they have been in the past, the amount of resources your community receives to provide for young children will be severely diminished at a level that philanthropy could never replace. The second set of data focuses you on the populations you care about, which may be rural dwellers, immigrants or other underserved communities. These communities are at a greater risk of deep undercounts in 2020 which will result in an enormous loss of resources for your community — losses to your community as high as $1,800-$2,400 per person not counted, per year for the ten years. Use these data tools to do the math about the dollars that will be impacted and the people that will be most at risk if the census is inaccurate. If you explore these two sources of data, you will understand what this will mean to your foundation and community. This is why you and your foundation need to become engaged in any level possible in ensuring a fair and accurate census in 2020. 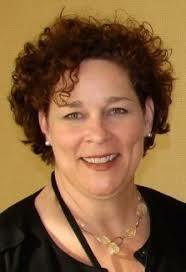 Maggie Gunther Osborn is Chief Strategy Officer and Sr. Vice President of United Philanthropy Forum. She joined the Forum in August 2016 after serving as President of the Connecticut Council for Philanthropy. Before joining the Council, Osborn served as Vice President of the Florida Philanthropic Network, Grant Director for the Conn Memorial Foundation, Vice President of the Community Foundation of Tampa Bay and Chief Development Officer for The Florida Aquarium following an early career in the designer fashion industry. MGO Partners, Osborn’s consulting firm from 1998-2013, provided training and capacity building support to the social purpose sector. Maggie holds a master's degree in leadership & philanthropy from Antioch University and a BA from Notre Dame of Maryland University, where she was a Morrissy Scholar.